It is not news that we are using our mobile phones for much more than making a call.. We use our mobile devices as a camera, a navigation system, an encyclopedia,even a flashlight. As they say – whatever you need, there’s an app for that. We’vecome so far with these mobile tools, that the professional community is confident turning to mobile phones for use as a digital wallet, storing everything from airplane tickets and hotel keys to event passes and reward points. Our phones have become mobile wallets with virtual on-demand payment capabilities and it seems to have happened overnight. Will our phones give way to both consumer and corporate payment systems alike? Mobile commerce has taken over the way we shop. Websites are being developed with a mobile application as the primary interface when just 5 years ago that was not the case. Companies like Wayfair are rooted in technology. The company was founded by engineers who understood the advantage of technology to drive business and immediately embraced mobile commerce as their main retail strategy. A priority to the user experience is driving Wayfair and other companies to create an interface that is easy and seamless from the moment a customer enters the site. They are also looking to data to respond to behaviors and demands. —Ed Macri, Chief Product and Marketing Officer of Wayfair. Part of the experience includes how consumers will make a payment. Wayfair customers can use a card, Apple Pay or PayPal. The company also offers Affirm, a financial company providing affordable ways to buy online. Affirm connects directly to the online store that offers access. There are no card numbers so it is safe and secure. The approval process for paying with Affirm happens in real time, and once it is set up, can be used as easily as any other form of mobile payment. You can also customize the loan you choose in order to pay quickly, or over a 6-12 month period. Payments are becoming a commodity, and while it is clear that the millennial generation is quick to embrace this on demand payment technology, studies are showing that they are not the only ones. 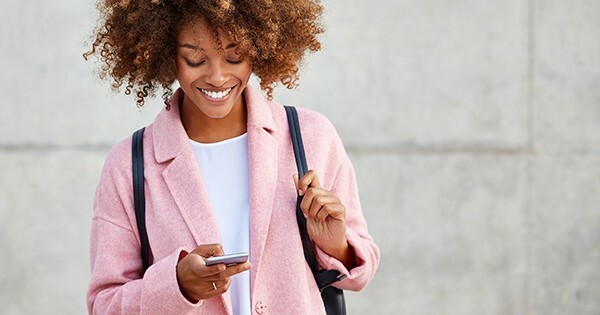 A recent consumer survey polled 1200 consumers and found that 68% of respondents would likely make 50% of their in-store purchases using a digital wallet within the next two years. The study also showed what we already assumed, that 45% of consumers between the ages of 25-34 has used digital mobile wallet and peer-to-peer payments. Surprisingly, however, the study showed that the age group of 35-44 showed 37% having used P2P payment method, and even 12% of consumers over the age of 65 had used P2P payments – proving it is not just the millennials ready for mobile wallets. While it seems that mobile wallet technology is mostly used in the consumer retail environment, numbers like the study above are influencing how the B2B community is reacting to individual demands for corporate payment systems. As the B2C community is becoming more comfortable with the security of the digital payment systems, the B2B community is starting to embrace the possibilities for their own corporate payment systems and looking at user experience as a catalyst. When it comes down to it, people are what we are designing systems for whether it is a consumer or a business-to-business customer. Today’s technology is being used to make the experience for people easier, which includes those individuals working on behalf of corporations, especially where corporate payment solutions are involved. The most obvious alignment for mobile wallet use in business will happen with banks, the payment sector and their business customers. As consumers are driving innovation and trends, the enterprise environment is taking notice and answering to the same demands in corporate payment systems. Companies like WEX are already responding to these trends by enabling businesses to pay each other through robust corporate payment systems and tools. The WEX Paygenus is a powerful B2B payment network, designed by and for financial institutions, that connects buyers and suppliers delivering simplified payment execution. Paygenus ensures maximum buyer and supplier engagement by delivering a standardized approach to payment processing, cost savings and improved cash flow, and a balanced approach across the financial supply chain. The advantages are as beneficial for the supplier as they are the buyer. With payment networks like these, the B2B community is laying the groundwork for the same vast network used by mobile payment capabilities. Mastercard is also addressing the consumer demands for ease and security, which will ultimately translate to and benefit their B2B customers as well. The same consumers who expect seamless checkout experiences combined with a high level of security are influencing how they are engaging in a B2B context. Mastercard recently unveiled a suite of APIs for card issuers that will provide consumers with a single view of where their cards are stored across any device. “Consumers are able to more easily control how, when and where their cards are used when accessing their card issuer’s mobile banking app. Consumers also can remotely deactivate cards or set spending controls at the device level. We are providing the consumers with the tools they need in the Internet of Things era. With companies like WEX, who partner with Mastercard and rely on the vast network for their own corporate payment solutions, it is only a matter of time before B2B customers can take advantage of similar Mastercard innovations and tools. WEX is already ahead of the game in the B2B Payment arena by answering millennial demands for a better way to pay. 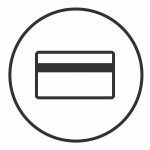 Instead of a traditional, procure-to-pay system with paper checks, WEX offers Purchasing Cards (P-Card). In a majority of companies today, a large number of check payments are still being made for low-value items to a large number of suppliers, which is a costly, inefficient process and lacks the innovation that the younger generation desires. When the payment method is switched from the procure-to-pay process to a P-Card, efficiency savings range from 55% to 80% of the traditional process cost. Per an NAPCP evaluation, typical savings resulting from P-Card usage are $63 per transaction. WEX’s Corporate Purchasing Card is just one of the many products to help mid- to large- sized companies streamline the procure-to-pay process and reduce the costs associated with authorizing, tracking, purchasing, and reconciling business purchases. Not only does this card help companies streamline processes, but it also gives them a new level of control that can help their bottom line while taking advantage of supplier discounts. Companies can achieve consolidated spend and improve efficiency and overall cash management with this corporate payment solution. Adding the ability to use these tools via a mobile wallet becomes even more attractive to the generation leading innovation in the world today. While some may still consider cash as king, others would say that the world is digital, and our mobile wallets are leading us into the future — a future where money is virtual and our paper currency will no longer exist.